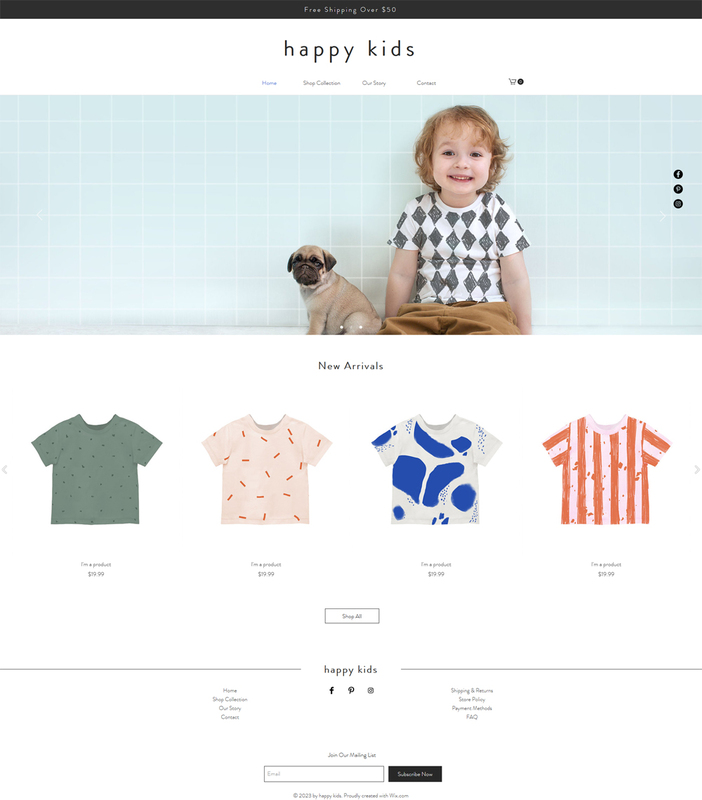 How to create an online store and how to make this for free, easy and quick? 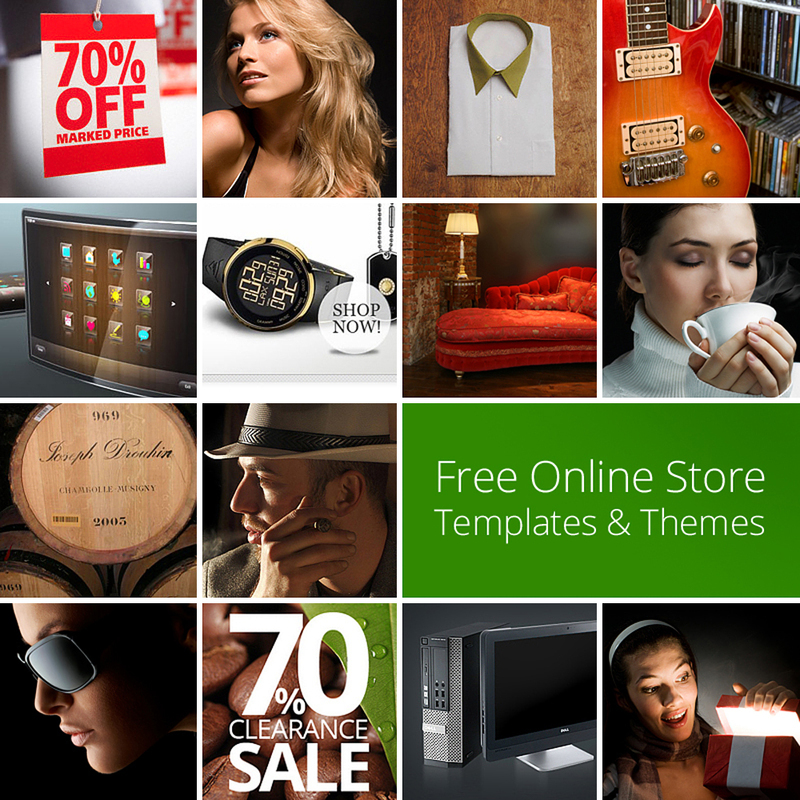 One of the best solution is to use free ecommerce websites templates and free wordpress ecommerce themes. These are ready made online stores sites – you have to just download the template you liked most and upload it to your web hosting. 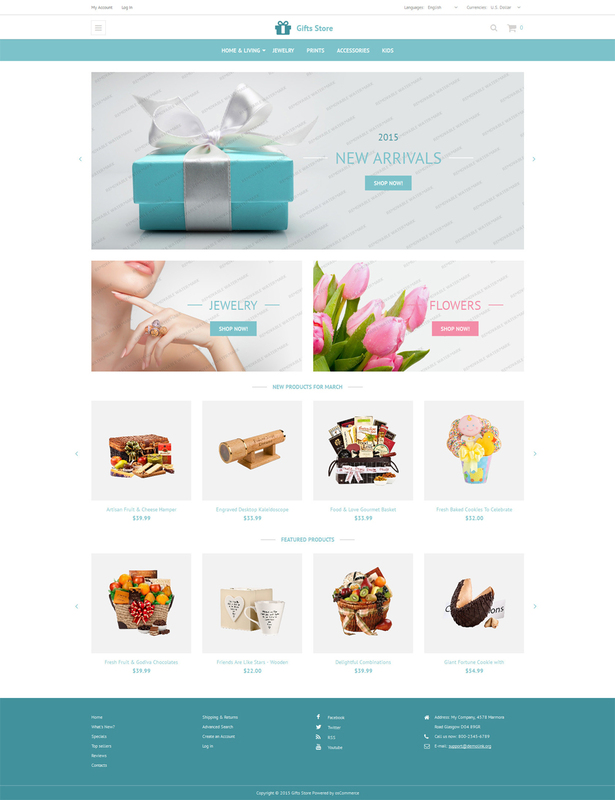 After this you will have just fill it with a content and your free online shop is ready to start sales. 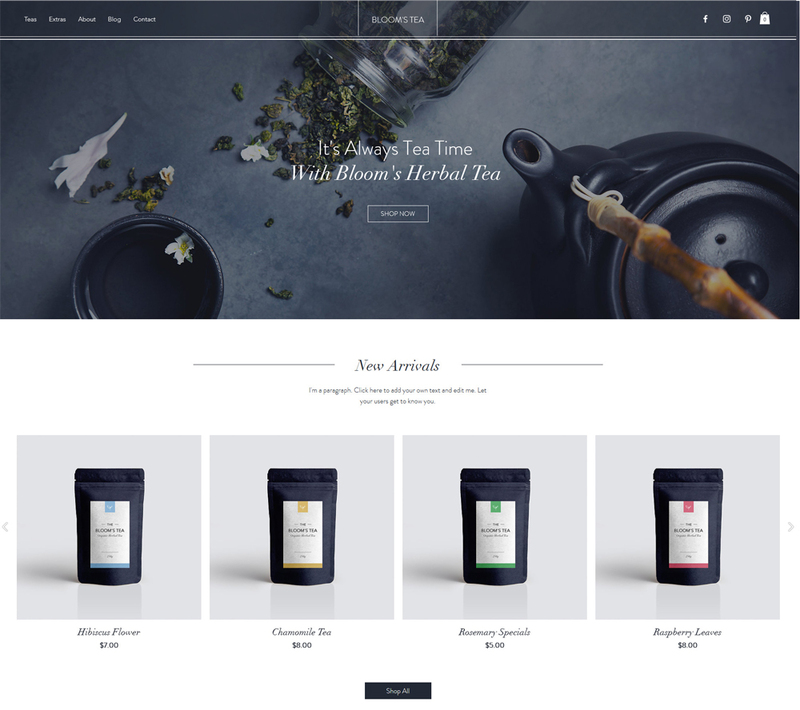 We’ve selected 25 most perfect free ecommerce templates developed on different open code platforms: WooCommerce, PrestaShop, OsCommerce, VirtueMart, WordPress, OpenCart, ZenCart. 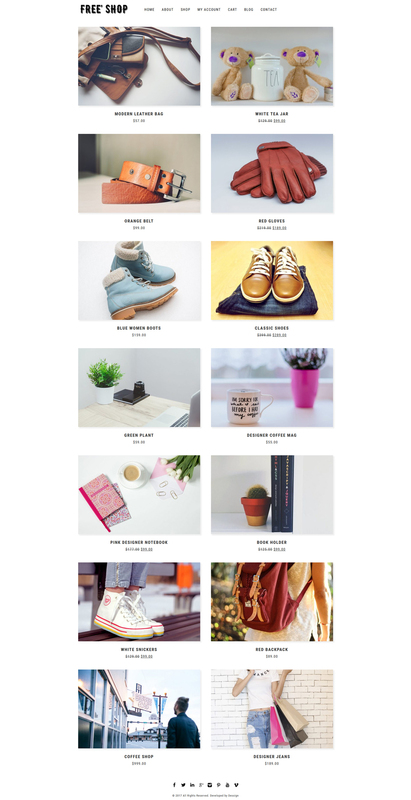 These are the most popular ecommerce CMS and your can choose the closest to you. An online store is a notion that almost any shopper is familiar with, as online stores are capturing people’s attention more and more. Instead of going to real stores, consumers tend to choose shopping online. 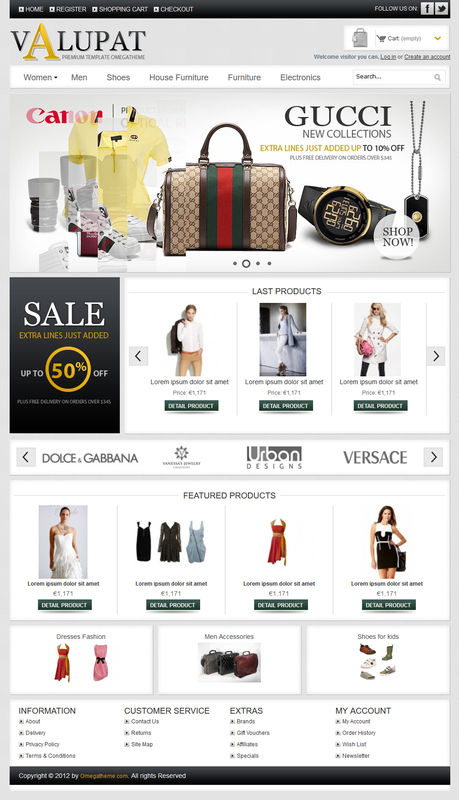 Undoubtedly, a modern online store is a venue that can satisfy different needs of shoppers. So, why do people prefer online stores to shopping in real-life stores? Firstly, the assortment of goods can be better presented in modern online stores due to the limited space in real-life stores. Shoppers can spend as much time as they want comparing different products and choosing the one they require. Secondly, modern online stores give customers an option to save favorite items in their wishlists, to think for some time and to come back at any convenient time when they make a decision what they wish to buy. Thirdly, modern online stores allow people to avoid standing in lines to pay for their goods, as online payment is processed really quickly. 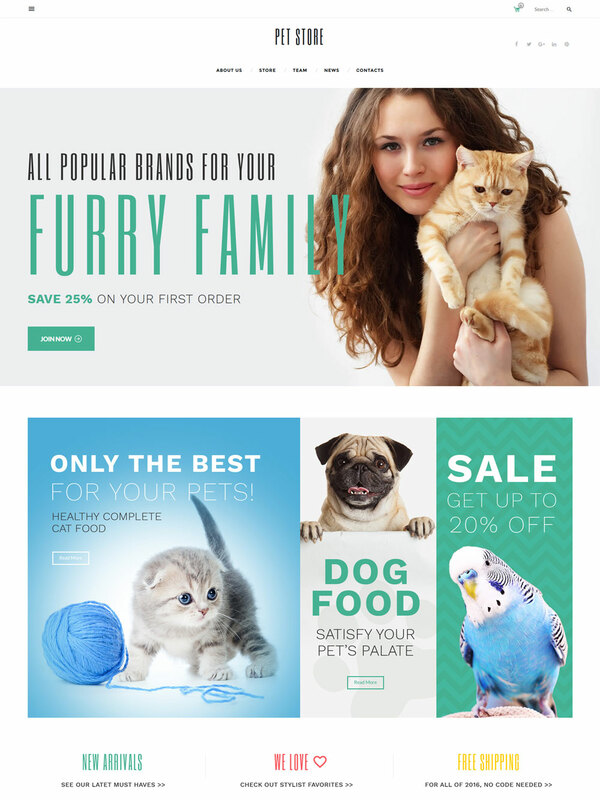 Now, you have a unique chance to look at 25 best online store templates and themes that can satisfy your needs no matter what your online store deals with. 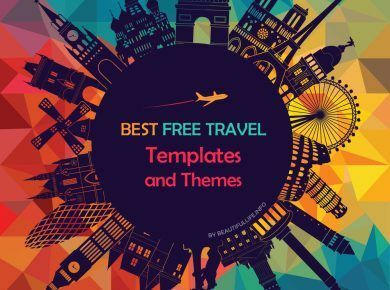 All listed templates and themes are really free ones and available for downloading without any problems. 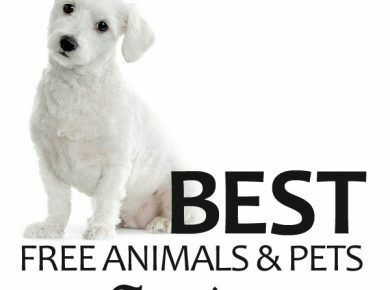 Also don’t forget to check Top 10 Best Online Store Website Builders if you prefer to use ecommerce website builders for creating your online store and 15 Best Free Website Builders if you need a general website builder. We’ve offered you free eСommerce templates but we couldn’t avoid to tell you about such effective way of creating eСommerce websites as website builders. 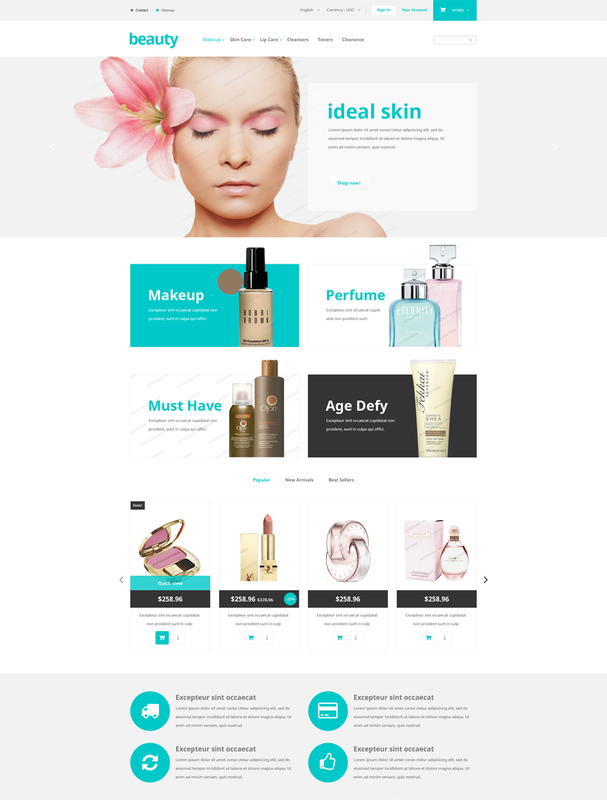 Premium eCommerce templates they are offering differ by unique quality and, the most important, they are created in HTML5 and they allow to create fully functional online store with wide opportunities of customization. 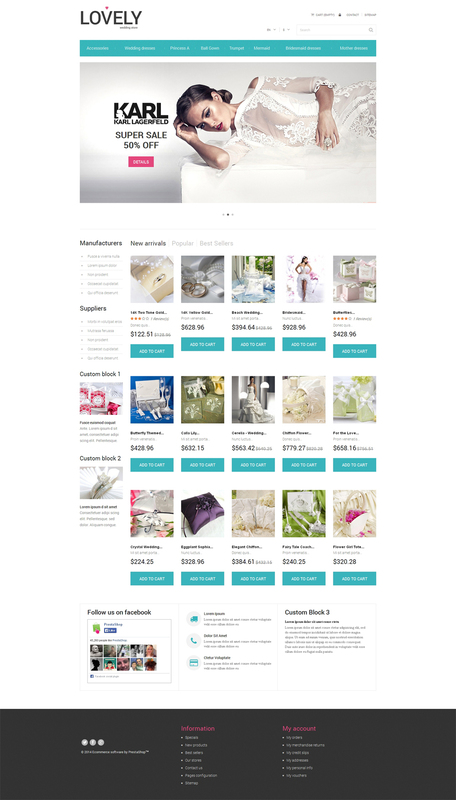 Yes, these aren’t free website templates but for a small fee, that is comparable with price of shared hosting, you will get a professional responsive eCommerce store with separate domain name and excellent design. So, we’ve chosen Wix as website builder – it’s one of the leading website builders all over the World. 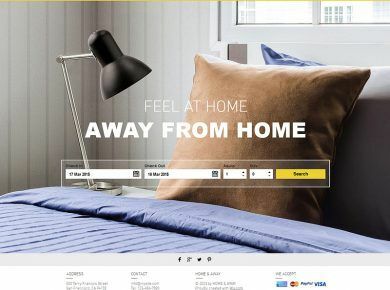 And as example – 5 premium eCommerce templates but if you follow this link you will find much more. 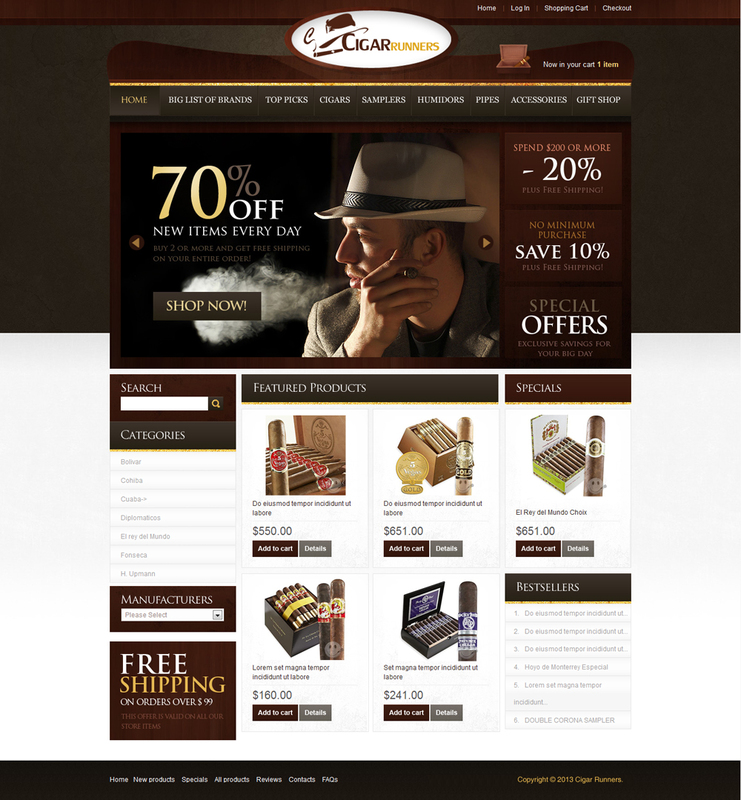 And let’s don’t forget about old good premium website templates, for example from TemplateMonster. What options should a professional online store have? So, what options should a professional online store have to be successful, to satisfy people’s needs and to attract new clients? If you want to run a business online, you should remember that a professional online store should have a number of options to be easy to use both for customers and for sellers. Let us look at the main options of such a store. An online store is a place where shoppers want to find a particular item that they need, so the assortment of goods in a store has to be presented effectively. To make products presentation more convincing, it is advisable to give detailed descriptions of goods, stating their peculiarities. Also, a good idea is to include several images of the products to present goods from different sides and to show any specific features. The possibility to zoom images is also highly appreciated by customers, as they can make sure that goods are of the best quality. When a store contains a huge variety of goods, finding the most appropriate product can be challenging for customers, so it is better to organize your products in a menu with different categories and subcategories according to product types. Definitely, advanced search options with the possibility to filter search results by price, brand, color, or size, for instance, will also help shoppers to find goods and thus promote your store. 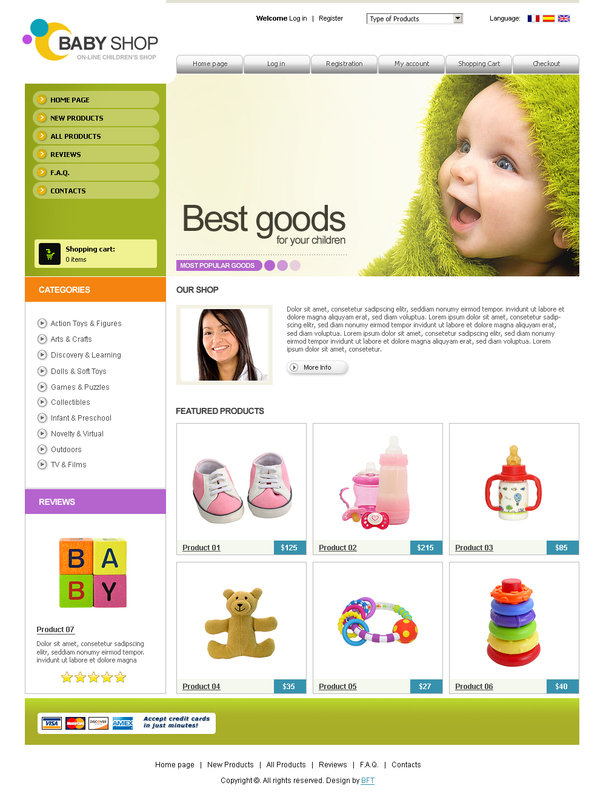 A professional online store can guess a person’s needs and desires and show products related to the customer’s search. In such a way, shoppers will see the variety of goods, including those goods that they did not type in as a keyword in their search, and choose the most appropriate ones. It is often better to prompt shoppers to buy related goods of the same category, as they will save their time and efforts. A professional online store cares about its customers, so it allows them to add personal comments and reviews. In such a way, people will express their frank opinion about the goods, give recommendations and increase your store’s reliability. As any store, an online store deals with money, so shoppers want their payment to be secure. There should be a real-time processing for standard credit cards with a security check. Also, a professional online store can be multi-currency, giving shoppers a possibility to choose preferred currency. Buying goods from an online shop, customers want to see different delivery and shipping options. They may want to pick up their goods at a local branch of your store, or they may wish to have goods delivered to their address directly. Anyway, an online store should give various shipping and delivery options to choose from. Very often, online stores do not have limits and function internationally, serving people all over the world. If you ship goods internationally, shoppers should also know how much their parcel will weight and what taxes they may have to pay to get their goods. Everybody loves a possibility to get goods for a smaller amount of money, so it is a good idea to display items on sale or your store’s special offers on your website. Additionally, your customers can have discount codes to apply them while purchasing goods. Usually, people opt for online stores to save their time, so they will not want to follow a long registration process to access your store. Thus, registration should require minimal personal information to make the process easier. Also, there should be a possibility to change information and restore forgotten password. Avoiding registration can be an option for those customers who want to buy from your store only once, but getting registered will provide them a possibility to view their past orders. It is essential to notify customers about their order updates, if you wish to run a professional online store. People feel secure when they receive an email confirmation that their order or payment has been accepted, that their purchase has seen sent or delivered. There should be continuous communication between sellers and buyers in a professional online store. A live chart will give customers a possibility to clarify any details about a certain product. Also, long-term communication should include sending your clients newsletters to inform them about new items in your store, sales and discounts. An online store becomes more effective when users have a possibility to share goods with others in social networks or messaging applications. In such a way, people can get advice from their friends and families, while your store will be noticed by a greater amount of people. So, think ah3out adding different buttons to make sharing easy. There is no need to mention that mobile devices are used very often to browse the Internet, so a professional online store should be responsive to adjust to various screen types and browsers. Shoppers will appreciate the opportunity to order goods quickly, using their gadgets. Last, but not least, is the possibility to view an online store in different languages. A professional online stores that aims at promoting business and increasing sales internationally will include different languages for its customers. 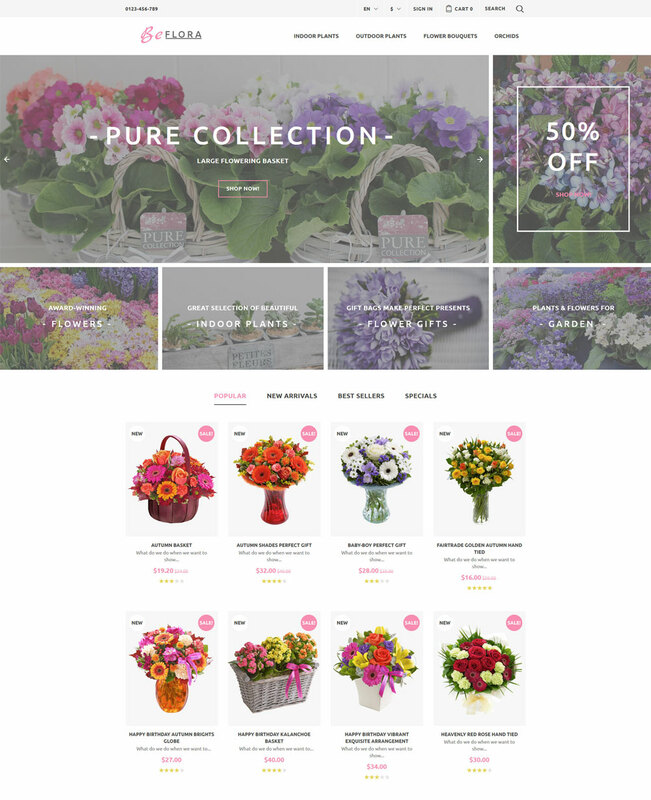 What are the best ecommerce CM for a modern online store? When you choose a template for your online store, you should choose that one which supports ecommerce. Ecommerce web templates, unlike ordinary ones, have integrated payment systems and shopping carts for running a successful online store. Other features of ecommerce templates include various search options and product tags to organize goods into categories and subcategories. There are several ecommerce CMS that will be the best solution for a modern online store. It is up to you to choose a preferable platform depending on your needs and desires. Magento is one of the most popular ecommerce platforms that has been specifically developed for online businesses. Magento uses open source technologies and has a community edition that is available for free, which is perfect for small companies or beginning entrepreneurs. Even the free community edition of Magento has such incredible features as multi-store functionality, multi-language and multi-currency supports, Search engine friendly design and mobile responsiveness. However, if you want to have advanced options for your online store, you will have to pay to upgrade your version. 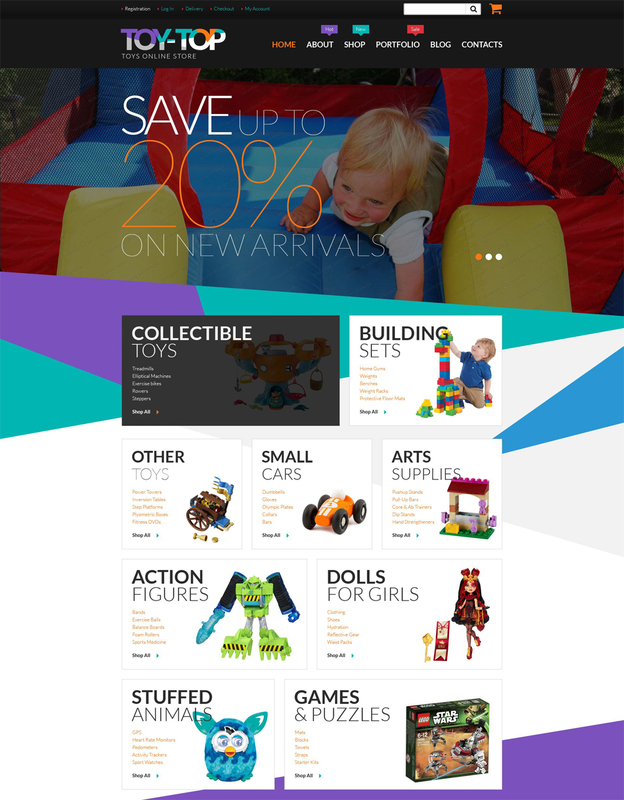 Magento themes are fully customizable, so you can get control over codes and add any necessary modifications to the themes. At the same time, a large amount of options creates a complex system that is difficult to understand, especially if you are a novice, so you will probably need some help with coding. Also, Magento runs on PHP, so you will need strong hardware to run your store, as the system can get slow. 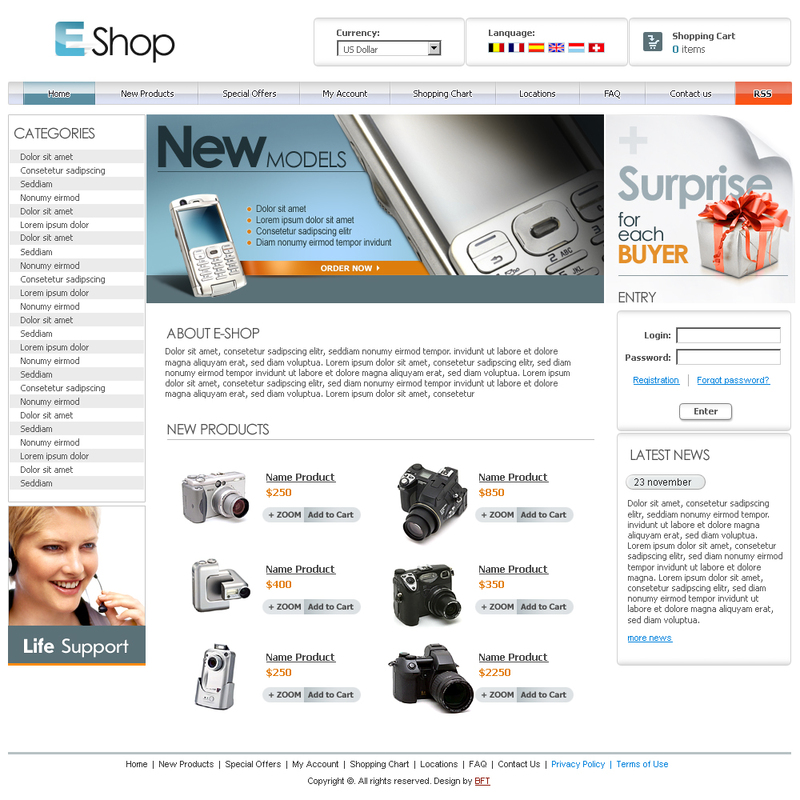 PrestaShop is another ecommerce platform famous for its simplicity and functionality. 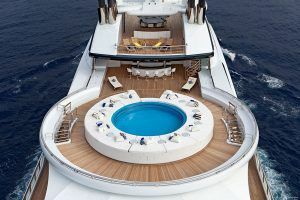 It will be ideal for a novice due to its intuitive administration panel. However, PrestaShop cannot boast of as many features as Magento can, but these features will be clear and sufficient for beginners and intermediate users. Also, there is a possibility to install various features. Because of the smaller amount of options, it works faster than Magento and will not require high server resources. A major drawback of PrestaShop is the absence of a multi-store feature, so it will not be suitable for running a big online store. Another ecommerce platform to mention is ZenCart that is also developed by professionals and experts to run a successful online store. Its main attraction is its being focused on both users and consumers’ needs. ZenCart is easy for shop owners to set up a shop and, at the same time, it is aimed at satisfying shoppers and making their shopping a pleasant experience. As an entrepreneur, you get an opportunity to analyze demands for different goods, customers’ search volumes and order totals, which makes running a store more effective. 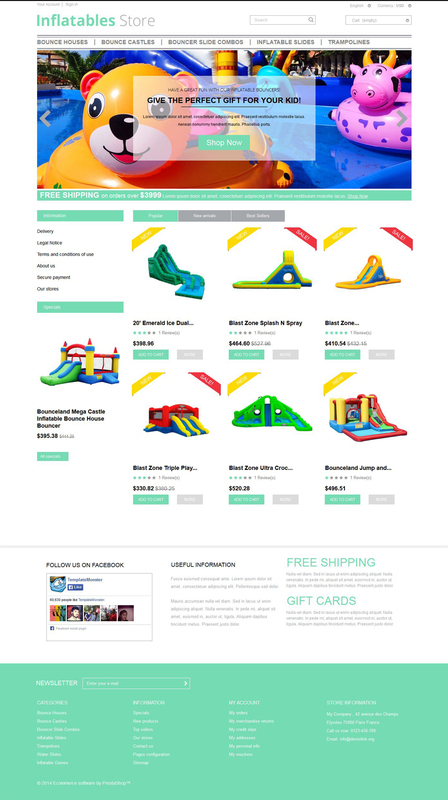 ZenCart can also be customized, but it does not provide you with many layouts to choose from. Moreover, customizing your website with ZenCart will require coding skills, so you will probably need an expert to help you with this. OsCommerce has also been developed for online businesses and still remains popular among starters, as osCommerce software is really user-friendly. You do not have to worry about installation process, as this platform is really easy to run. It is not based on templates, so you can only change the looks of the site with stylesheets. OsCommerce allows for quick integration with other websites. It is also possible to download and integrate updates for the application. However, upgrading can be challenging as osCommerce lacks technical support, so it can take you some time to monitor new updates manually. 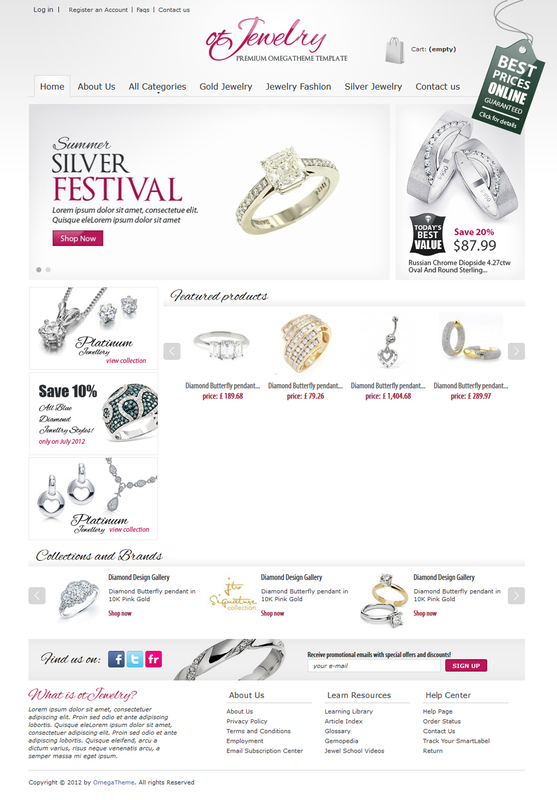 payment options, easy navigation system to manage a store, and numerous options to customize your website. 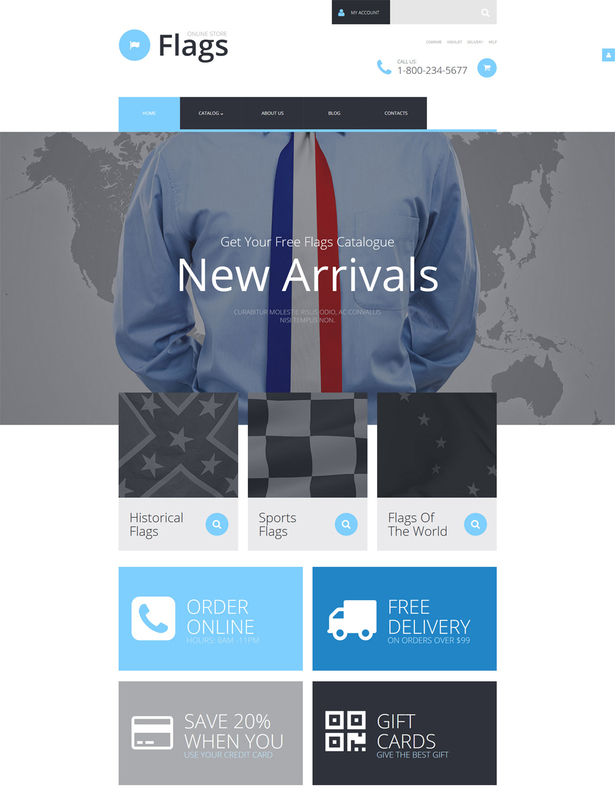 You can choose from various eCommerce templates that are simple to install and adjust to your needs. Are there open source? How about legal ? 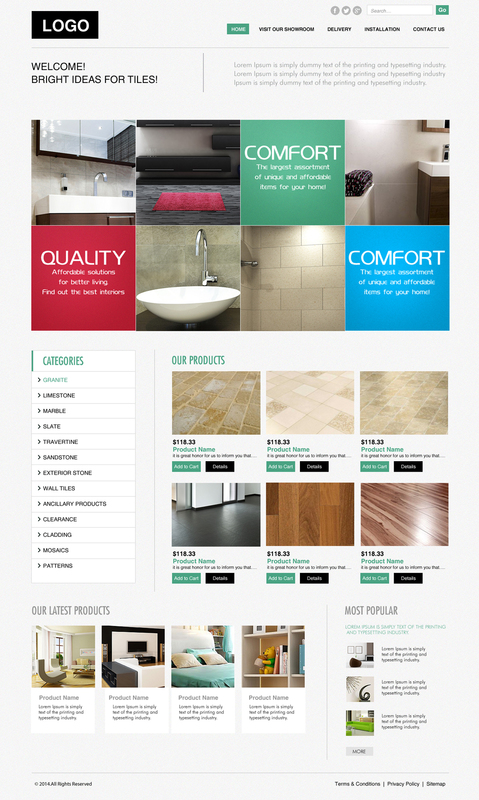 Choosing a right Website template is very important for every online business. For everyone wondering, the files ARE download able, you must click on a option above, select “Download” in the top right, then select “no thanks just download now” on the right, (Please be advised, that by doing this, you are legally subjected to the branding, which means you cannot remove the site tags in the template) . Thanks for the templates, they are really nice especially for students. Nice list. 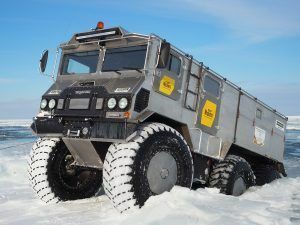 Where can I find Abantecart templates or themes? 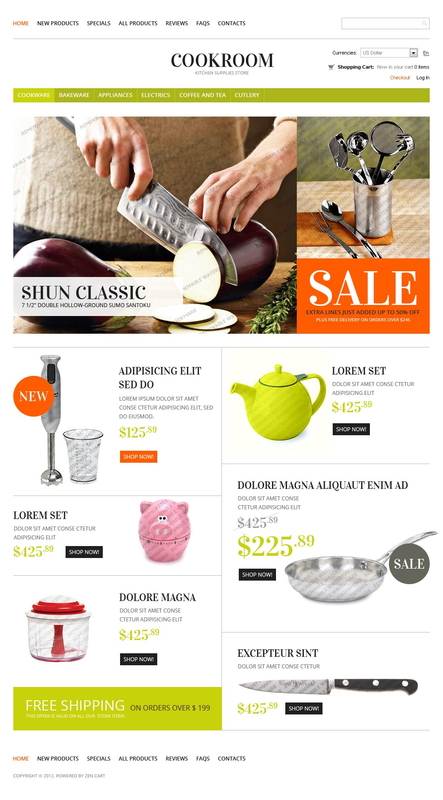 Really nice shopping cart website.Very useful. i want template of online shoping…… please suggest me. the Free osCommerce Digital Shop Template looks exactly like Amazon, and yes, am going to download it. However, do you have any idea as to how i can upload it on wordpress? Thank You very much for sharing these templates. 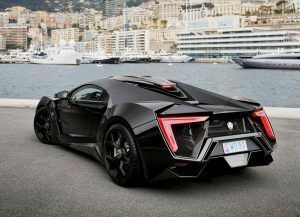 this will help me a lot in learning of web development. Trying to download one of your templates, but it will not download. I need to download…for my web sites. Thanks very much. why everyone say thanks ??? none of the templates are downloadable !!! Are the templates compatible to ebay? Hi, Flower shop isn’t opening..
Nice ones, i will try one. Thanks. Your info will be very useful for me. how to edit the template? thanks. how do i edit and install this? I really like it…It’s easy to customize. Can you give more template? I think the templates above is not beautiful! Hi how Do I use the css to customize my site? any help? 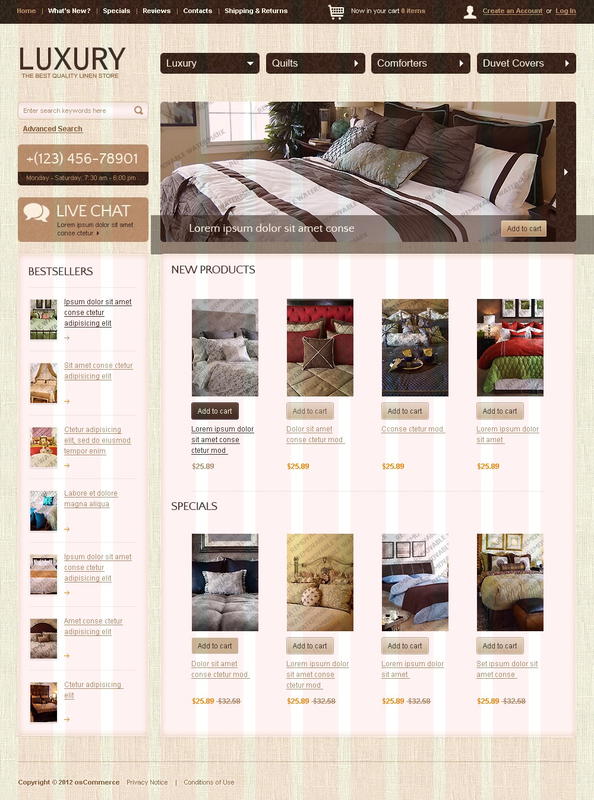 Verry Nice Template.. thanks i’ll use Furniture shop 03 for my blog…. i like yr template graete……………. 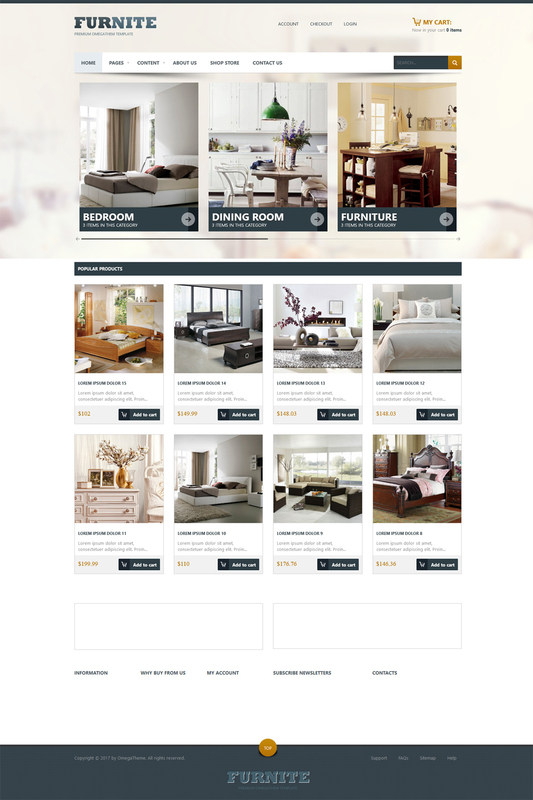 I cannot download Furniture website template , it is very nice and I need it for my website ! can anyone HELP ME ? nice template… I enjoyed watching your collection. do you have moslem clothes template, cz I needed. does anyone know a good online store template for movies? hi,Thanks for the post of os commerce themes but I want movie ticket booking theme in os commerce can any one know how i find it and please share the link. i am troubling while installing template please give some solution.. If themes come with no device responsiveness – it is a waste of time and money now. I enjoyed watching your collection. Nice templates. Thank you. really cool templates. Great collection. But I do not know which one will be the best for bridal store. good collection. 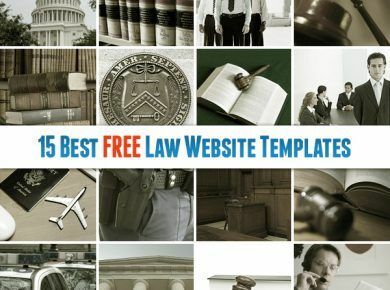 I am going to select one template from above mentioned. 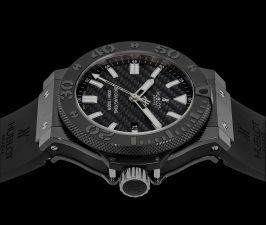 We need electronics product templates pleases help me……. 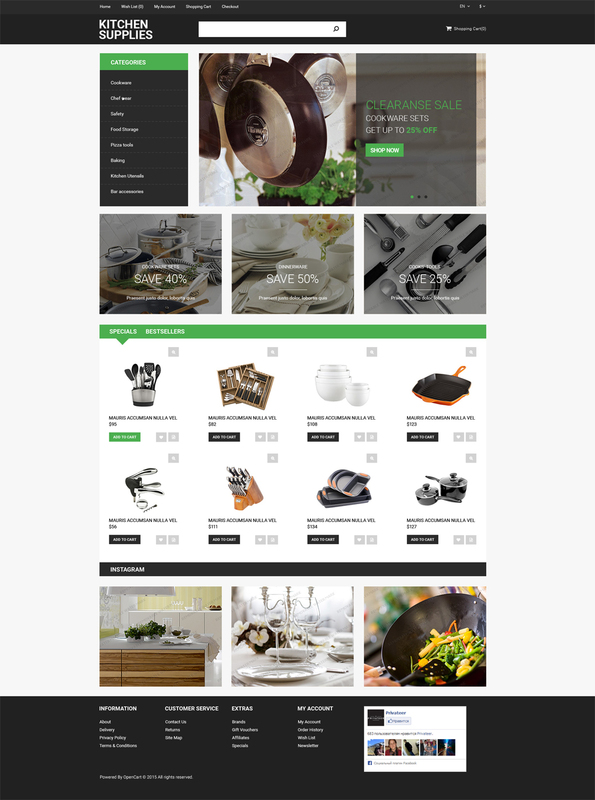 Y templates nt gettng download?for mobile store……..
Can I incorporate these templates on my Godaddy website? i can not download it, it is show download failure, can somebody tell me how to do it? can the templates use in Blogger? nice collection mate, thanks for the share, will definately use of of them. hello,pls upload a templeate about computer hardware inventory system..in simple html coding. y can’t u use your brains ? 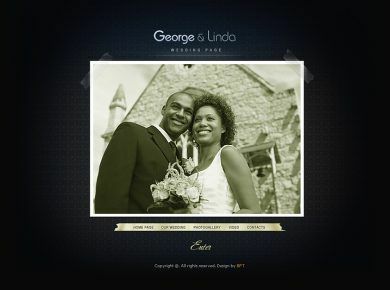 This templates are amazing, but I´m having trouble installing this on my site, can anyone help me? 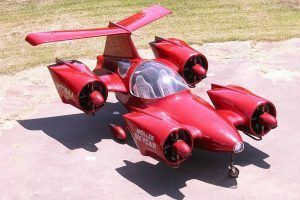 Some great designs here, excellent list. 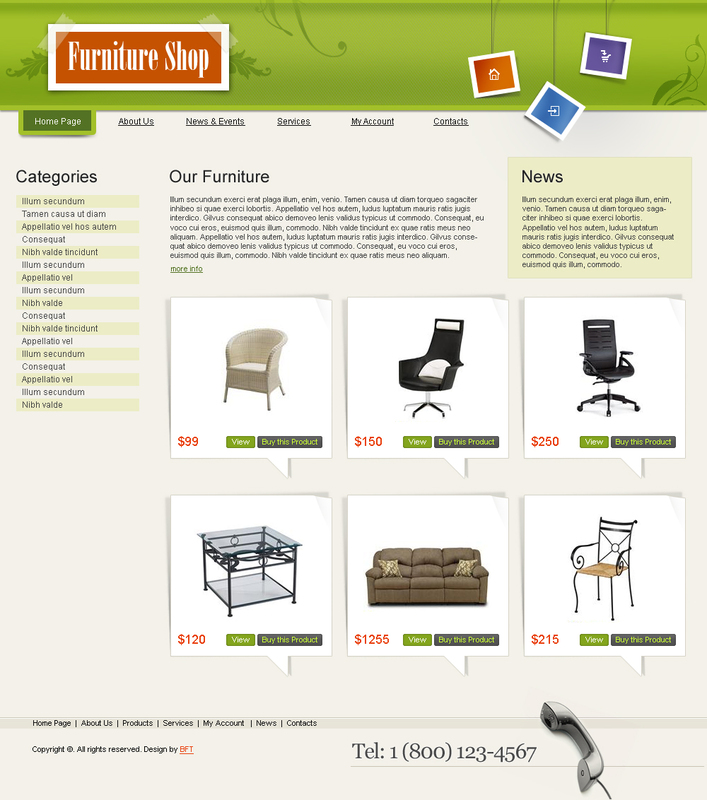 I love the simplicity of the furniture shop ecommerce template. Could be redesigned to be used for almost any kind of product. Wounderfull collections thanks for sharing this at one place. hello, i want template for art shop, can you help me? Great designs, thanks for the list, this help me save time. great tell me how do i install it. Hi.. what kind of software to manage / edit this templetes ? Joomla or what ? Thank very much for your post, it realy interested, great! Every template is very excellent. 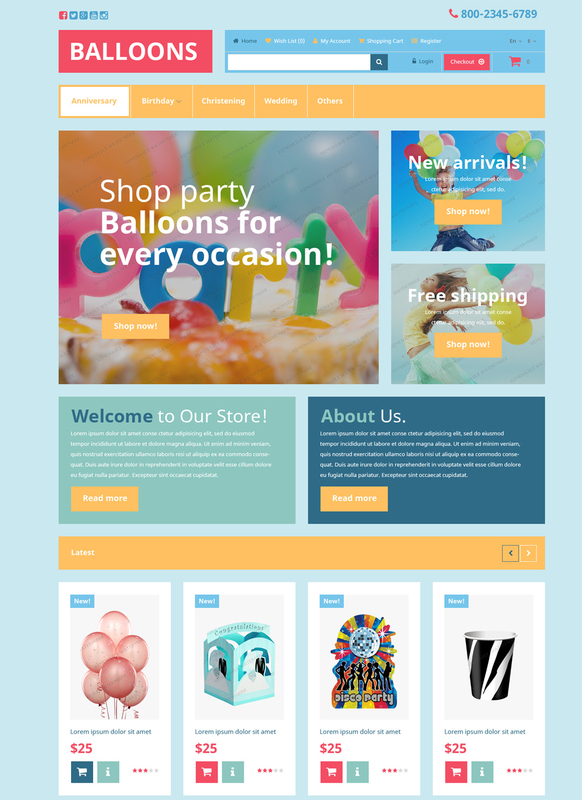 i think its best template in e-commerce business. very helpful template or me, think all. So many many thanks for this post. gr8 job…. u helped me a lot…. hey how to download this templates..
thank you very much ! awesome templates !!!! loved it ! Благодарим от имени всех славян! hey i want an templates for website for can u help me?????????????????????? 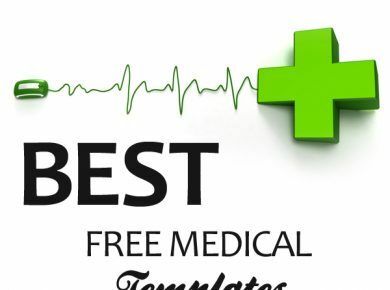 U have done a great job by offering such templates…. hii priya let me know your requirenment for online template. what you want in your website. send me your need in detail.